A new update for Cortana app on Android phones is about release soon. 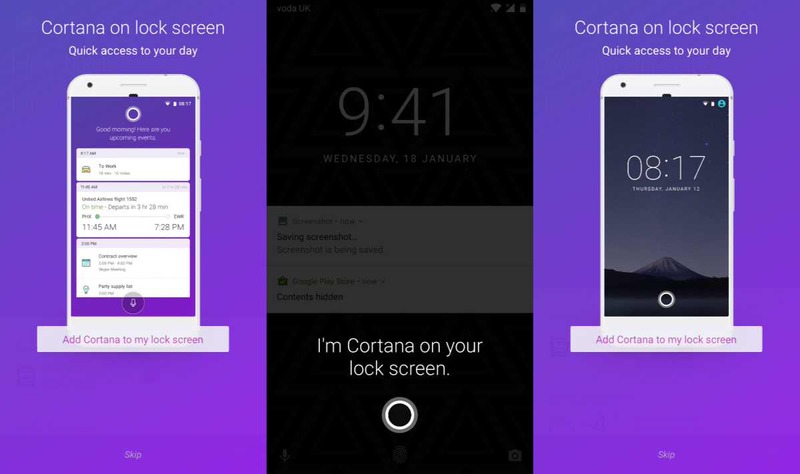 With this new update, you will able to access Cortana from your Android phone’s lock screen. Microsoft is already testing this new feature with beta testers and will release to everyone in coming weeks. This new update will allow you to enable “Cortana on lock screen” and the “Add Cortana to my lock screen” options. After that, a simple Cortana logo will show at the bottom of the lock screen and you can swipe the logo left or right to open up the Cortana panel. The new Cortana panel on Android lock screen will show all your latest updates. Additionally, Cortana on lock screen doesn’t require you to unlock your phone. It is expected that Cortana on the lock screen will also work with custom lock screen as well as Microsoft’s own Next Lock Screen. Currently, Cortana beta app is available on both Android and iOS devices. If you are interested you can download the app from the Play Store or from the link below.